The purpose of Ballet U’s Classical Ballet Program is to provide each student with the highest standard of classical ballet training through scientific and artistic education while encouraging students to develop strong personal characteristics such as self-discipline, commitment, responsibility and perseverance. Whatever their ultimate goals, this training nurtures dancers’ consistent progress, inspiring them towards achieving their maximum level of excellence, while preventing common dance injuries through safety-minded anatomical technical practices. It is our hope that these achievements will manifest into pure joy of movement, enhance confidence and self-esteem. Training follows a carefully designed curriculum, allowing each student to progress to his or her own maximum potential. The quality of training that begins in the Elementary/ Beginning levels establishes the foundation for progression through the Intermediate and Advanced levels. The faculty work to develop the students’ individual abilities in a safe and supportive learning environment. Upon graduating from the advanced levels of this program, students will have mastered a thorough knowledge of classical ballet vocabulary. 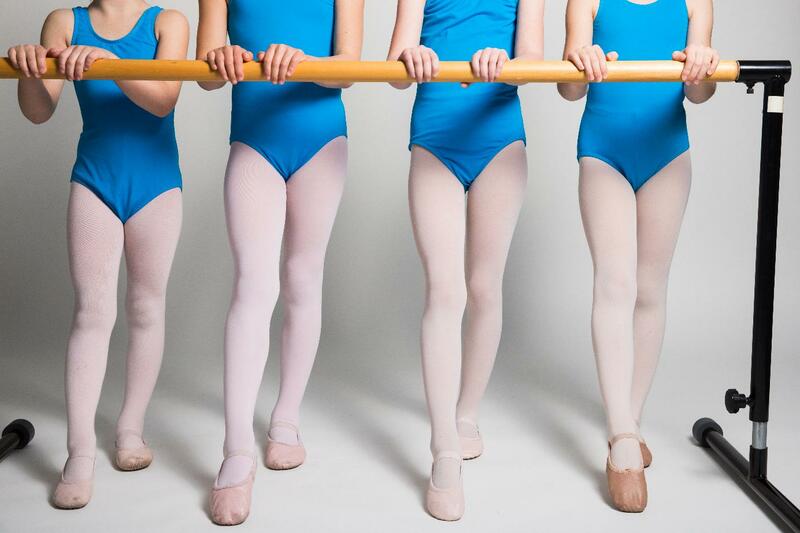 In addition to developing strong ballet technique, students gain valuable life skills such as self-discipline and motivation, creativity, increased critical thinking, confidence, and self-esteem. Students are expected to maintain consistent attendance while displaying the characteristics described above as well as demonstrating a positive attitude with respect for all instructors and fellow students. If you or your child are interested in taking ballet classes and you don't see where you fit into our program, please contact us. We would love to talk to you and will find a class for you. We offer trial classes and ongoing enrollment and are known for the individual attention we provide to our students. Students are placed in the most suitable class by age, experience, motivation, self-discipline, previous attendance, maturity, and physical development. Student's initial class serves as a placement audition. Promotion is based on assimilation of the current vocabulary and mastery of movements for each level, which usually requires more than one year's study. Pointe work begins at about age 12 after four years of training. Students wishing to pursue pointe work as a part of their ballet education should begin twice weekly attendance by age 9/10 - including summer! - and add a third weekly class in the second year of YIII. While pointe work is not for everyone, although very few students are physically inhibited, some may elect to just continue to enjoy dancing on soft shoes. Students are individually evaluated for readiness, and then attendance of three weekly ballet classes is required. This entry level class establishes the critical technical foundational elements upon which all successful development depends. 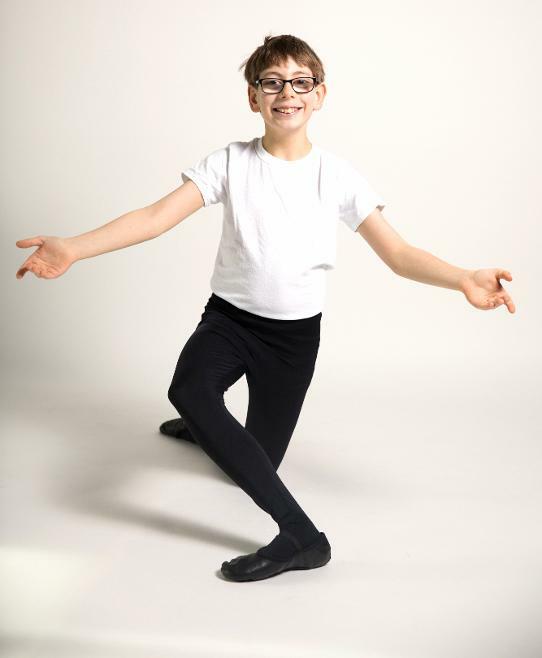 Learning proper alignment, articulate footwork, as well as basic arm, head and foot positions while gradually and safely developing anatomically based external rotation (turnout), establishes a vocabulary for elementary principles of balance, jumping, turning, rhythmical patterning, level and directional changes, memorization, musicality and gross movement patterning. This level takes at least two years to complete. This level augments basic skills and vocabulary while challenging mental and physical stamina. Considerable focus on strengthening feet, legs, abdominal wall and upper back, which is crucial to adequate pointe preparation (for girls) and executing big jumps (for boys). Two classes/week strongly recommended. Students will need 2-3 years to perfect this level. This level focuses on continued vocabulary development including intermediate level jumps and turns with an emphasis on clarity, strength, control, flexibility and fluid transitions. Considerable focus on strengthening feet, legs, abdominal wall and upper back, which is crucial to adequate pointe preparation (for girls) and executing big jumps (for boys).This level includes prepointe training and pointe training for some students. 2 classes/week required, 3 classes/week required for pointe work. This level focuses on continued vocabulary development including intermediate level jumps and turns with an emphasis on clarity, strength, control, flexibility and fluid transitions. This level includes prepointe or pointe training. 2 classes/week required, 3 classes/week required for pointe work. In this class we will study variations from classical ballets,learn original choreography, and define how to get the most from rehearsals, prepare for performances (make-up, hairdos, warming-up) as well as study theatre construction, lighting, props and sound tech. Dancer health topics such as injury prevention and best nutrition practices will also be included. Level IV/V dancers who are enrolled in Tuesday and Thursday classes are invited to add this class following their Thursday class. Advanced vocabulary development including jumps with beats and multiple turns with increased emphasis on clarity, strength, control, flexibility and fluid transitions. Longer and more complex center combinations with longer pointe training. 2 classes/week required, 3 classes/week required for pointe work.